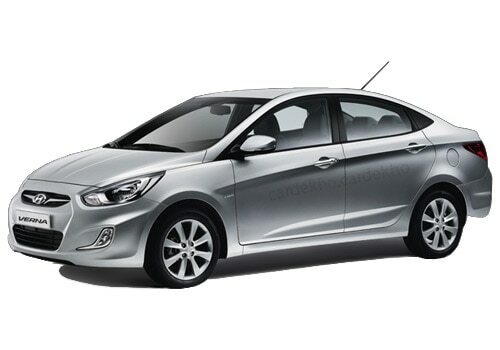 Hyundai Cars are known for constantly updating its product and it is the second largest car manufacturer in India. The company's highly successful Hyundai Verna sedan is all set for minor upgrades. The South Korean automaker has added a few features to its existing model both inside and outside in an effort to improve the already existed Verna. The updated car is available at all the Hyundai's dealership across the nation. 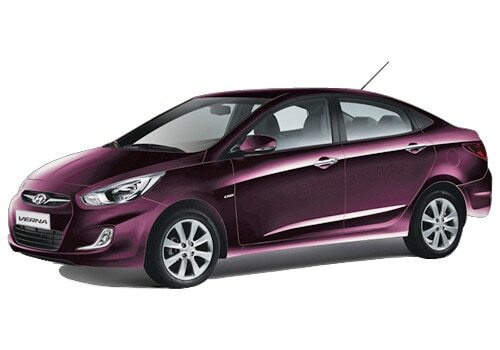 The updated Hyundai Verna Price remains unchanged. The changes to the interior cabin include power windows buttons being back-lit, back-lit audio control buttons on the steering are seen on the higher variants, newly designed audio console and a few others. The current model SUV cars comes with three headrests on the rear seats but the updated version comes with two headrests on the new offering to cut costs. The car maker is also expected to launch the new car with the LED lamps will be housed onto the headlamps assembly but the company has dropped out this from its feature list. Alongside, it gets a new key which is a new design same as the i20 and now has a trunk open function. The new Hyundai Verna features, the high end variant of the Hyundai Verna comes with restyled alloy wheels. The car gets a new set of alloy wheels that features a twin five spoke alloy will pattern, which looks eye catching. The spare wheels on the higher model are replaced by a steel rim instead of an alloy wheel. The updated vehicle will continue the same engine options that include 1.4 and 1.6 litre petrol engines and 1.4 and 1.6 diesel engines. This car is the only sedan in its segment that offers automatic transmission for both petrol and diesel engines. Other than the above mentioned features, the automobile is also equipped with chrome front grille and outside door handles, electric outside mirrors with side repeater, power window control, sliding front armrest and leather upholstery. Regarding safety, it comes with Anti-lock Brake System with EBD, six air bags, front and rear disc brakes, impact sensing auto door unlock and speed sensing auto door locks. The automobile will also provide a better comfort to the passengers by full auto air conditioner, driver information system, 2-Din audio system, the integrated system supports other multimedia devices like iPods and USB and rear parking assist system. The updated Hyundai Verna Pictures are available in different websites, check it for any further details regarding the car and Hyundai also launched a iTech version of Hyundai i10 with some exciting new features.